Renault expects to sell 5,000 Alpine A110s in Europe in 2018 and forecasts the car's volume will dip to about 3,000 annually after that. 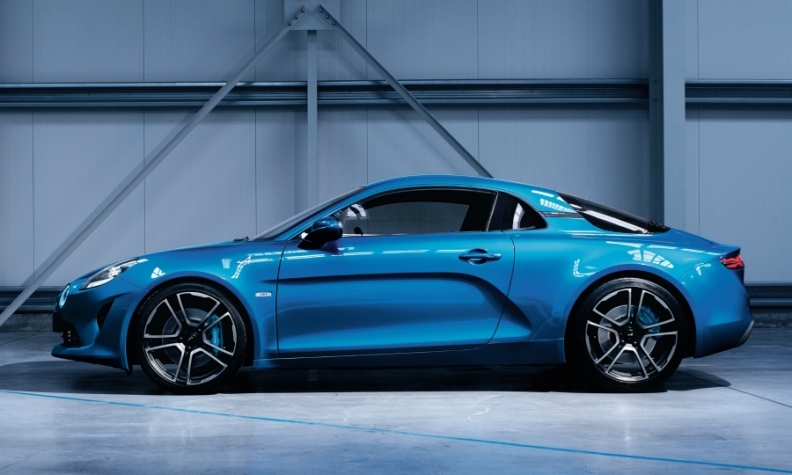 Renault picked a difficult time to launch the A110 two-seat coupe from its revived Alpine brand. Europe's sports car sales are in the doldrums. They fell 21 percent in January, which is the segment's largest percentage decline in seven years, according to figures from JATO Dynamics. In 2000, Europe's sports car sales topped 200,000. Last year that number slipped to 119,600, or 0.8 percent of the overall market. The numbers had been rising from a low reached in 2014, but much of that was because Audi had replaced the TT, Europe's best-selling sports car with nearly 16,000 sales of the coupe and about 5,100 sales of the convertible variant last year. Even Renault concedes that Alpine's sales will be small. The automaker has previously said it expects to sell 5,000 A110s in the car's first full year on the market. After that, Renault executives think the car's annual volume will be about 3,000. Even that would be respectable in a segment where rivals include the Alfa Romeo 4C, which had a volume of 1,198 units last year, and the new Porsche 718 Boxster (3,142). Why has Europe fallen out of love with sports cars? The rising popularity of SUVs is partly to blame, JATO analyst Felipe Munoz believes. They are delivering a similar feel-good factor, even if the driving experience is very different. Another factor holding back sports cars is that they often need bespoke lightweight platforms, which makes them more expensive to produce. Renault had originally partnered with British sports car maker Caterham to build the A110, but that fell apart in 2014. Some doubt Alpine has the required name recognition to lure sports car buyers. “Consumers in this segment tend to associate sport cars with premium brands,” Munoz said. Two-thirds of all sports cars sold last year in Europe were built by premium automakers. For Renault, the halo effect of the A110 might be more important than the potentially slim sales. It wants Alpine to become its premium arm with a range of cars, including an SUV, media reports predicted. Positive coverage of an attractive sports car will help build its cachet with enthusiasts, something it desperately needs to be considered a legitimate rival to the likes of BMW, Audi and Mercedes-Benz.